Our plane arrived in Quito, Ecuador shortly after midnight. 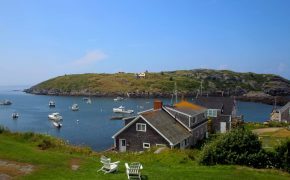 By the time we cleared an extremely long custom line, gathered our luggage, and transferred to the J.W. Marriott, it was 2:30 AM. Within no time, we were asleep in our deluxe hotel room in Ecuador’s capital city, the world’s highest constitutional capital city and Ecuador’s second most populated city. In the morning, we woke to views of Quito’s valley and perimeter of Andes volcanoes. Living in Denver and spending a significant amount of time exploring Colorado’s high country, we had no trouble adjusting to the 2,850-meter (9,350 feet) altitude. 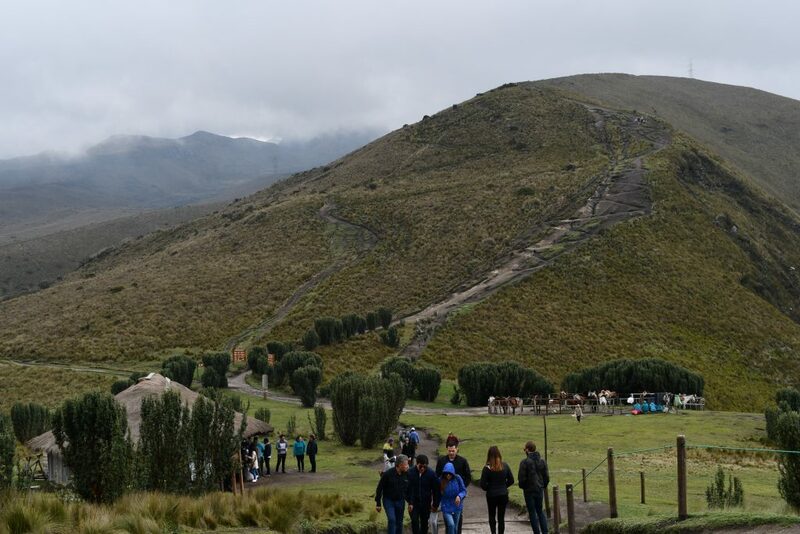 Most of our fellow travelers struggled to adjust to the altitude and chose to stay close to the hotel. They toured well-preserved historic buildings in Old Town, one of the first cities to be designated a UNESCO World Heritage Site, or strolled through the Jardín Botánico de Quito, just a few blocks from the J.W. Marriott. 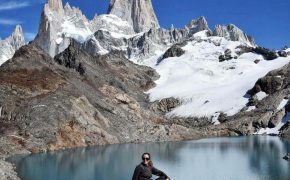 Altitude sickness can become a serious issue for people who are not accustomed to being above sea level. 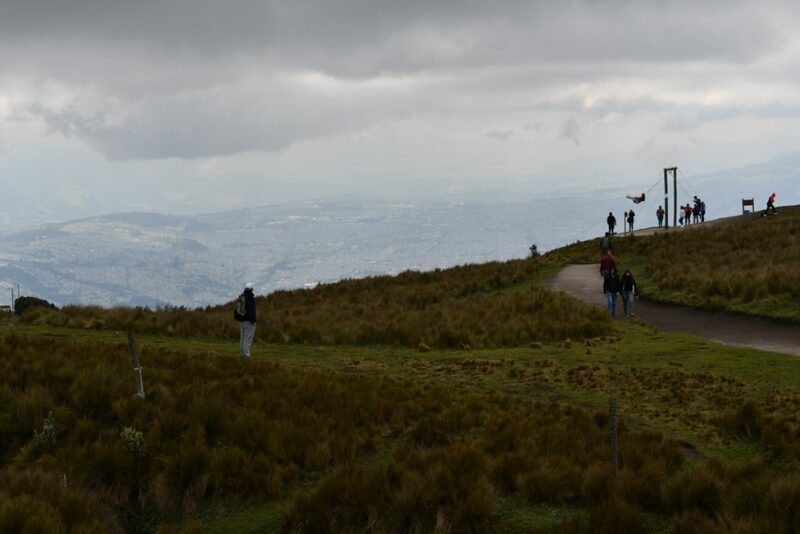 Our comfort level with the altitude and our desire to get a panoramic view of the city led us to explore hiking trails near the Pichincha Volcano. The Uber driver weaved his way through the city and eventually headed uphill along a series of switchbacks. At the ticket counter at the TelefériQo, or the Teleférico de Quito, we paid a modest fee in American dollars to ride up and down a six-passenger cable car. The American dollar is the official currency in Ecuador, so we didn’t have to worry about converting money. Even though the attraction had only been open for an hour, we had to patiently wait in a line for about 25 minutes before we could board a gondola. Some of the people were dressed for winter conditions in down jackets and blue jeans while others wore shorts and T-shirts. This popular attraction has been taking local and foreign passengers to the summit since 2005. We shared our gondola with three Spanish-speaking bicyclists dressed in sleek, brightly colored outfits with color-coordinated helmets. Their mountain bicycles with oversized tires hung on racks outside our cable car. As we traveled to an altitude of approximately 13,000 feet above sea level, I stared at the greenery and a small herd of cows that wandered aimlessly below. Like many popular attractions in foreign countries with limited information online and no printed brochures, we had to rely on our instincts to navigate unfamiliar surroundings. Simultaneously, we had to continually gauge ominous cloud formations that were looming over nearby mountain peaks. Being at altitude, we knew that weather patterns could change quickly. We were well prepared with a water resistant backpack filled with a few layers of clothing, including waterproof jackets, but we still preferred to avoid torrential rain. My KÜHL MØVA HOODY protected me from the brisk wind and a SUN DAGGER HAT adequately shielded my head and face. The hat was kept in place by a cord secured under my chin. I certainly didn’t want to become sunburned on our first morning in South America. Quito has an extremely high UV rating since it is located at a high altitude near the equator. My KÜHL traveling gear was a definite asset. As the clouds ebbed and flowed, we took pictures of the valleys below and whatever was visible in the distance. 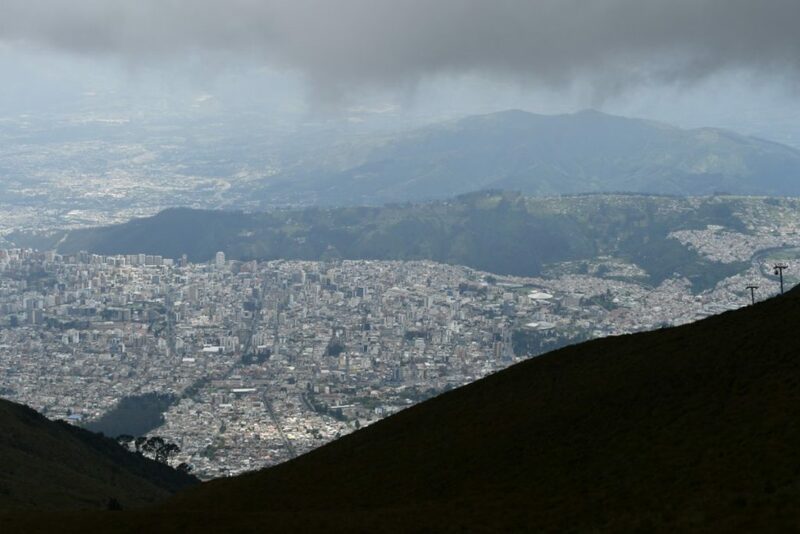 Quito’s metropolitan area, dotted with an array of buildings, stood in sharp contrast to the rolling hills, lush vegetation, and distant mountaintops that were predominate features in the other directions. Laced with an earthy essence, the cool, crisp mountain air encouraged us to breath deeper as we trekked upward on a moist path that resembled a dirt road. Along the way, we passed several steep unmarked trails that were heading to the city below. Further downhill on those paths, we saw small groups of bicyclists and pedestrians navigating the uneven terrain. Unexpectedly, we passed by a small chapel. I peered in through the glass doors, but locked doors prevented entry. 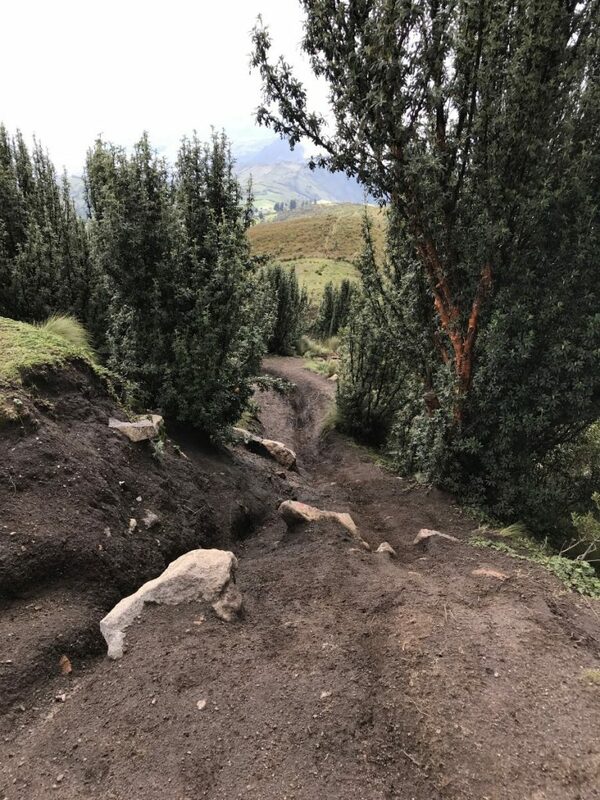 A short distance later, we learned that we were on a path named Sendero Ruco Pichincha. A Spanish/English sign with a simple diagram informed visitors that the demanding climb would go from 13,287 feet above sea level to 16,400 feet above sea level. The estimated time to complete the trail was approximately five hours. On the horizon, a steep trail zigzagged up the mountain. From our vantage point, we also viewed a fork in the trail where we could loop back to the starting point near the gondola. We encountered another sign, Mirador de los Volcanes, that identified numerous peaks with their respective heights. While the foreboding storm hid most of these mountaintops and dramatically obscured our view, we were now aware that 10 peaks (Cayambe, Antisana, Pasochoa, Sincholagua, Cotopaxi, Ruminahui, IIiniza, Corazon, Atacazo, and Chimborazo) were off in the distance. Unexpectedly, our stomachs started to grumble as smoky air entered our nostrils. My instincts led me toward a straw roofed, open sided building where several chefs were preparing local cuisine. Grilled chicken and fried potato pancakes were the main draw. There were no visible signs describing the menu. Hikers simply ordered. An open corral with saddled horses tied to a wooden fence made us seriously consider a mountain trail ride. Our impromptu whim gave way to reality. We anticipated a long wait time for our return journey down the mountain and wanted to set aside time to explore Quito before nightfall. Near an overlook, adults and children stood in line waiting for the opportunity to ride on an oversized swing. A young American couple told us that they enjoyed their panoramic view of the valley as they swung back and forth. Raindrops caused us to pass on this childlike experience and head back to the gondola where long lines were already forming for the return trip back to the city. We shared our ride with a local family. Neither the parents nor the grandparents could communicate in English. The ten-year old boy, who had been attending a bilingual local school since kindergarten, was able to answer our questions and also ask a few questions of his own. It’s rare to visit a capital city with easy access to mountain trails, volcanoes, and scenic overlooks. Most urban areas only offer manmade attractions. 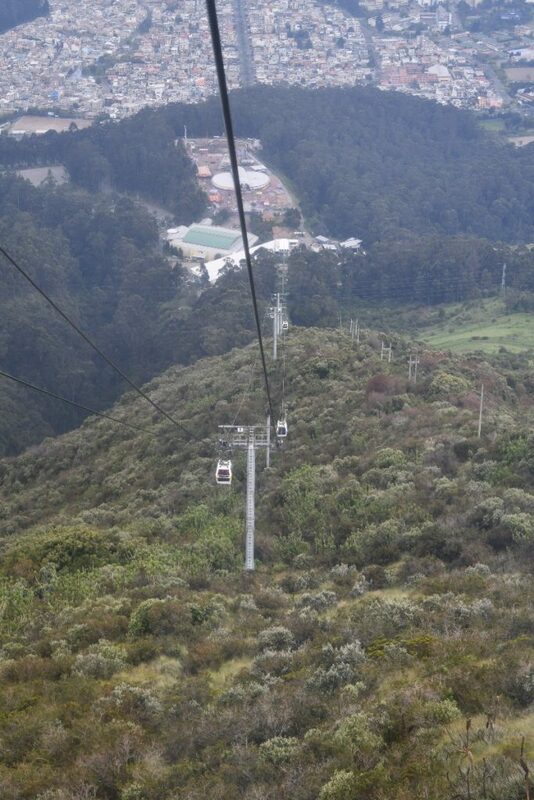 In Quito, we easily escaped city life and hiked in an area surrounded by volcanoes. Had the weather cooperated, we could have explored further. 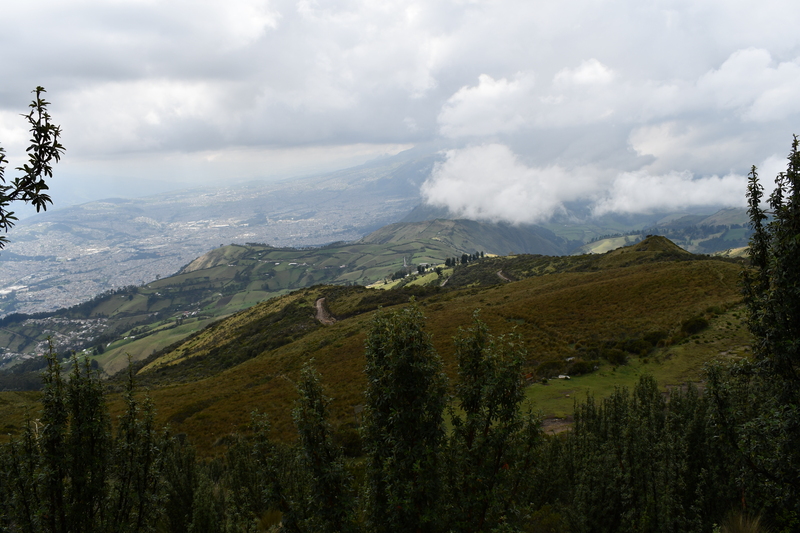 Our invigorating, high altitude hike introduced us to one of Quito’s natural assets and provided an overview of the city from a unique vantage point. 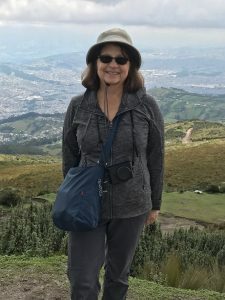 Sandy Bornstein in Quito Ecuador. Pictured in KÜHL MØVA HOODY and SUN DAGGER HAT. When Sandy Bornstein isn’t trekking in Colorado or writing, she’s traveling with her husband Ira. After living as an international teacher in Bangalore, India, Sandy published an award-winning book, May This Be the Best Year of Your Life, as a resource for people contemplating an expat lifestyle and living outside their comfort zone. Among other things, Sandy writes about family, intergenerational, and active midlife adventures highlighting land and water experiences. 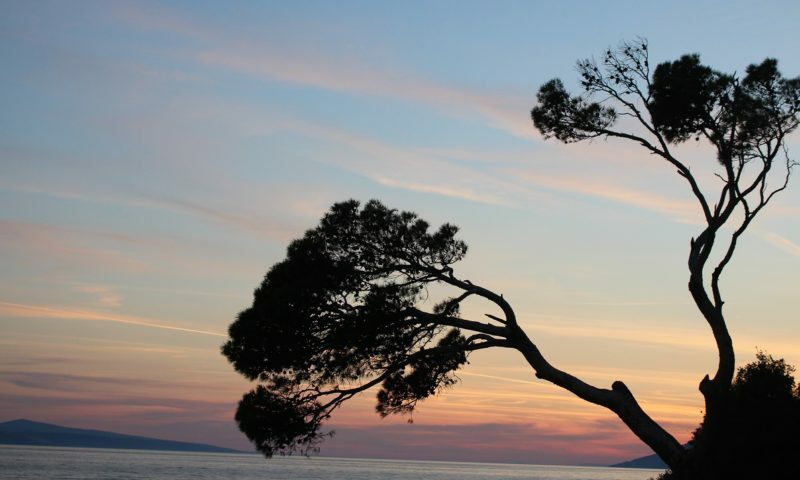 All photos by The Traveling Bornsteins. Don’t miss new stories and styles!